We strive for perfection in quality, cleanliness, and customer satisfaction. When you are looking for the best professional painter for your home or commercial projects, Gruber Painting is your quality contractor of choice! With over 10 years experience, our painting craftsmanship shows in our quality work! From small painting projects to full interior and exterior painting, Gruber Painting brings your "dream" home or office to reality for you! Call Gruber Painting for your free estimate today! Aiden’s Quality Painting in San Jose, CA works around our clients’ schedules to ensure that the project is unfolding smoothly and that you are completely satisfied. Our staff spends one-on-one time with each of our clients to ensure we achieve the results you desire. We offer a 100% satisfaction guarantee. We are fully trained, EPA certified, licensed, insured and bonded. Yes! We can go green and use environmentally friendly paints and primers that reduce your carbon footprint. We use only the finest and most widely recognized brands including Kelly-Moore, Benjamin Moore and Sherwin Williams. Our superior technical knowledge, high-quality materials, and unparalleled work ethic make us the natural choice when it comes to interior or exterior painting. As a professional, full-service interior and exterior house painting, Aiden’s Quality Painting serves in the San Jose, Sunnyvale, Mountain View, Los Altos, Cupertino, Saratoga, Los Gatos, Campbell, Palo Alto, Menlo Park, and Santa Clara area. Jennifer Davis painting has been in business for over 20 years. Jennifer Davis, contractor and owner, is on-site at every job, ensuring customer satisfaction and beautiful results. She provides individualized customer service to fit the needs and tastes of every client. Whether you want to touch up your current colors, add an accent wall, or redecorate your home from top to bottom, She can create the look and feel that you desire. Jennifer is an intuitive Color Consultant with interior design experience. She is patient, attentive to detail and can eye-match your current color or generate complementary color ideas. 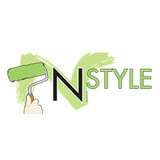 She will paint a variety of sample colors on your walls and let you live with them for a few days before deciding. 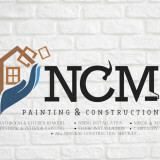 NCM Painting mission is provide the best and professional service to our clients. We want our clients to be happy; therefore we will do anything possible to give you the best service and we encourage our clients to provide any feedback to improve our services. We strive to build a long time relationship with our clients by transforming their dreams to reality. We offer all painting services including exterior and interior painting projects. Our main goal is to provide the highest quality work and outstanding customer service. If there was a problem with your project let us know and we will fix it. Contact us today to get a quote! We are your locally owned and operated, full-service painting contractor. Residential or commercial, interior or exterior - we're committed to providing the highest quality paint work, best value and most professional painting services in Santa Clara County since 2005. We will show up on time, leave the work area clean and tidy everyday and keep you informed on our progress. We aim to provide you with a trouble free painting experience and lasting results. We are committed to sustainable and environmentally friendly practices, by minimizing waste and disposing of leftover paint and materials appropriately. And we are proud to offer Kelly-Moore and Sherwin-Williams environmentally friendly product lines. CA License #934448, EPA Lead Certified, BBB, PDCA, Diamond Certified. RedHill Painting provides high quality, long lasting painting finishes and excellent customer service. Our success lies in our goal of providing these services while also offering our customers the most value for their money. At Kevin Copley Painting, we are 100% committed to customer satisfaction. We take every measure to ensure that when we paint your home or office building that you are completely satisfied with the outcome. We understand that every job is different and will do everything necessary to make sure each painting project is done with the utmost care and precision. Now having been in business for over 31 years, Kevin Copley Painting has earned a reputation for quality workmanship and complete customer satisfaction. Being family owned and operated, I personally oversee each project ensuring that the work performed is of the highest quality. This is my promise to you. S & S Painting and Coatings Inc.
S & S Painting and Coatings Inc has been providing high-quality residential and commercial painting service, for over 40 years. "We are recommendable!" We specialize in Cliffhanger types of projects. We are dedicated to providing superior quality workmanship and come highly recommended by previous customers. Please feel free to call or email us anytime. We look forward to hearing from you. MB Jessee Painting is the San Francisco Bay Area's premier painting company, specializing in interiors, exteriors, and specialty finishes for homes, estates, and upscale businesses. Working directly with owners and interior designers, we provide the very finest craftsmanship and materials. MB Jessee: "Professional Painters. Endless Possibilities." For a free consultation, please call or send us an e-mail to schedule an appointment. 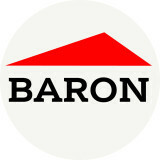 We are also happy to answer any of your questions about our expertise, services, and materials. At Fresh Coats Painting, our mission is to serve you, the customer. While we focus on interior and exterior painting, we also know that you have other needs outside of painting and sometimes find it easier to have one contractor that you can trust do all of the work for you. That is why we are trained to perform many tasks that fall outside the scope of painting. You can see these added services listed below. Don’t see the task you need listed? Just ask us because if we can’t handle it for you, we also work with other reputable and skilled contractors that we can likely refer to you to get the job done! Fresh Coats Painting is a full service, licensed, bonded and insured painting contractor. We are a Five Star rated company on Yelp and provide a full range of painting service such as interior/exterior painting, kitchen cabinets painting, deck staining/sealing, acoustic (popcorn) ceiling removal, texturing, drywall repair, crown molding install, baseboard install, epoxy flooring and much more. We pride ourselves with very meticulous work, timeliness and constant communication throughout the scope of the work. RJ Leonard Painting has worked in the painting industry for 15 years with over 30 years of experience in a wide variety of projects and products. We handle everything from detail projects such as new doors, windows and cabinetry to complete interiors and exteriors of homes. Our residential experience includes, new construction, spec homes and remolding projects of all sizes. Our breadth of knowledge and experience covers the standard painting products as well as speciality. We have extensive experience in "green" construction giving us valuable insight into the application properties of low and zero VOC products. In addition, we have experience working with speciality products such as white board, chalkboard, textured paint finishes, lacquers, garage floor products and decks. Our experience, flexibility, and communication allows us to work seamlessly on single trade and multiple trade projects managed by either homeowners, general contractors or design/build firms. When you hire the experienced crew from John Molloy Painting, you know who is in your home. 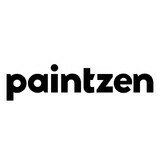 We offer unparalleled expertise with over 75 years of combined painting experience. From Dry Wall to Exteriors, Interiors to Decks, we cover it all. We pride ourselves on being able to provide nearly any type of painting or restoration service that you could need. Our main goal is and always will be to ensure the complete satisfaction of every customer we serve. Call today for the area's best!